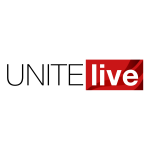 Unite members employed by controversial outsourcer Mitie at London’s City Airport are being balloted on an offer to pay the London living wage (LLW) from July 1. Unite which represents 32 security guards and those providing assistance to workers with mobility issues, said today (April 10) that its members were being balloted on Mitie’s new offer of paying the LLW, currently £10.55 an hour, from July 1 this year. However, Unite warned that the offer, which came after its members had voted unanimously for industrial action, does not address all the members’ concerns, which include improved sick pay, adequate rest break facilities and recognition of Unite for collective bargaining purposes. “Yesterday (April 9) Unite received confirmation from the Mitie regional manager at the London City Airport that the LLW would be paid to workers from 1 July, after they threatened strike action,” said Unite regional officer Michelle Cook. At the Sellafield nuclear reprocessing centre in Cumbria, security guards, and catering, vending and laundry operatives are due to strike over pay for 10 days starting on April 19.